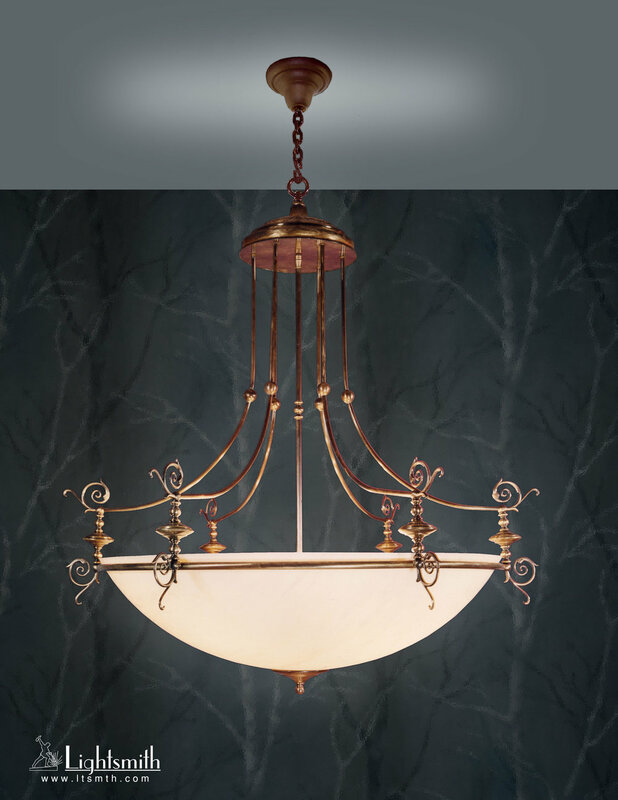 Our CupidsBow fixtures are elegant blends of brass castings and tube arms. We make them for finer hotels and auditoriums. There is a delicate look to the brasswork, but the fixtures themselves are totally sturdy.